Canterbury Daily Photo: We Won't Forget You - The Buffs. We Won't Forget You - The Buffs. 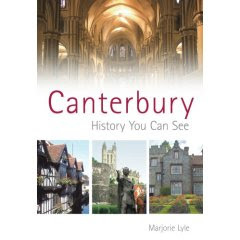 This is my favourite part of Canterbury Cathedral. It is a St Michael's Chapel also called Warriors Chapel because of its several monuments in memory of soldiers from different eras of English history. 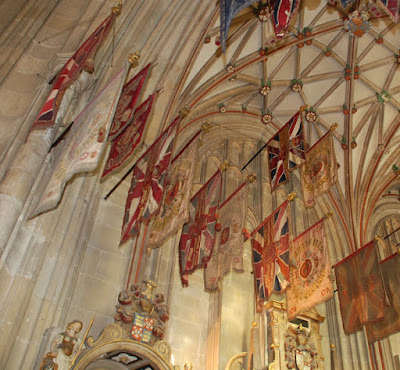 The flags above are banners of the The Buffs - The Royal East Kent Regiment. So unique! What a great tribute. This is a fine series. My great grandmother's grandfather served in the Royal Artillery against Napoleon. A distant connection, but well documented, and I'm proud to know it. That's absolutely stunning, Rose. You must get neck ache; not able to tear your eyes away from it. Mindblowing cathedral. Beautiful photograph. I love your recent tributs to the fallen. So nice.